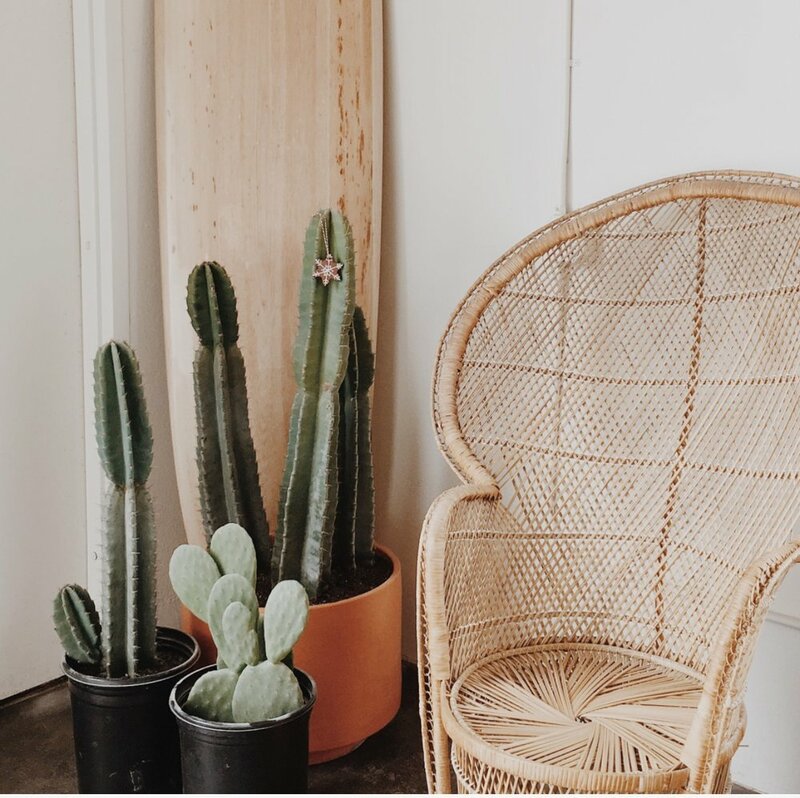 Nestled in Newport Beach, Daydream Surfshop is a beautiful space that features vintage finds, surf gear, coffee and goodies from local and emerging brands. Daydream is inviting and warm with plenty to peruse and multiple spaces to hang out and relax for a while. The space also features a coffee shop for an early morning coffee pre-surf or an afternoon pick-me-up. 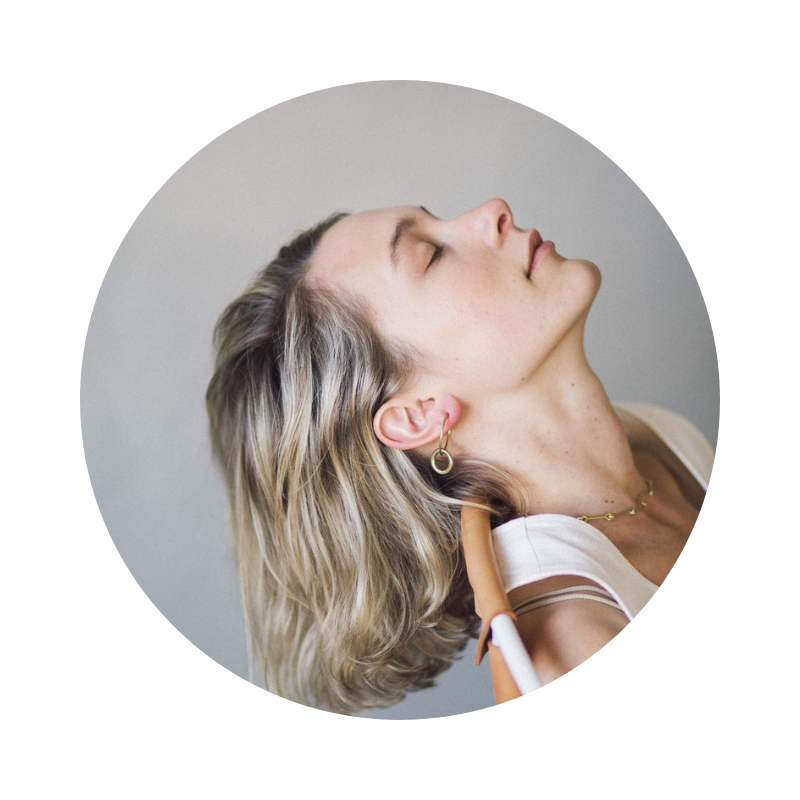 Daydream Surfshop was developed by Rebecca Mantei and Kyle Kennelly, California natives who's personal style is extremely prevalent in the space. Their combined desire was to create a space focused on design, quality and functionality -- all built on the backbone of a relaxed, surfer's paradise. Daydream Surfshop is located in an industrial park -- which one might be surprised to learn upon arrival. But the location allows for an expansive space (one that is perfect for storing surfboards and stacks of vintage Levis). 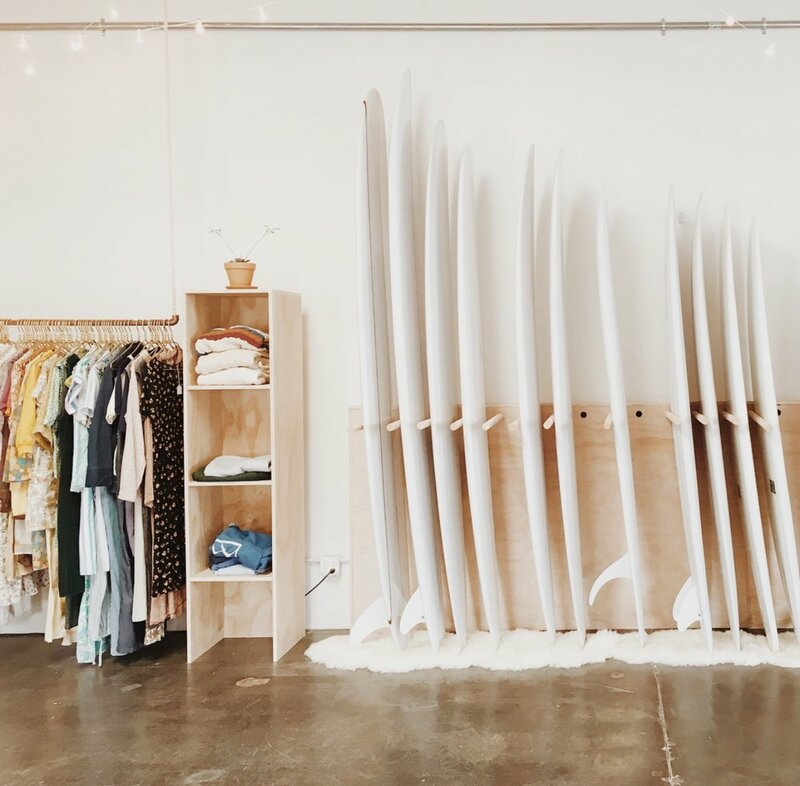 The climate of Newport Beach and Costa Mesa, with its changing landscape, calls for unique ventures and creative uses of space like Daydream Surfshop. When entering the space, visitors are welcomed with the scent of freshly brewed coffee and shots of espresso. "Daydream's coffee shop offers unique coffees that aren't found anywhere nearby in a effort to give people the jump start they need to a productive, feel-good day that hopefully leads them to the ocean at some point." After picking up coffee or latte, be sure to peruse Daydream's selection of books and magazines. They offer the perfect eclectic mix of surfer mags and art anthologies (and of course, a peacock chair to sit in while you flip through them all). The retail space at Daydream Surfshop is beautifully curated and merchandised. Rebecca and Kyle stock brands like Norden Goods, Jungmaven, Solid and Striped, Baggu, Mollusk, Juniper Ridge and Aloha Beach Club. The shop features everyday goods, like candles and bags to perfect casual tees and linen tops. The pieces stocked are thoughtfully chosen and speak to a desire to elevate the consumer's experience. "Daydream seeks to move us towards objects with soul that are built with love and ethical business philosophies. Inside you'll find a diverse mix of hand shaped surfboards, beautiful crafts [and] both new and vintage clothing..." The walls are lined with beautiful surfboards, many of which are part of Daydream's 'Surf Club,' a surfboard sharing program that breaks down the price tag barrier that passionate surfers often face when looking to experiment. This program speaks to the greater concept behind Daydream Surfshop -- a space built to bring a community together through shared passions, interests and support. For more information regarding Daydream Surfshop, visit their website (here).